Having shipped over 5 million iPhone 5s in the last week ‘what would have been definitely will not be for some time to come'. WHY? Well it’s all down to the missing NFC chip. Everybody was expecting Apple to include a Near Field Communications chip in every iPhone5 and because they didn’t two virginal industries have taken a major hit. What would an NFC chip do for you? It turns you phone into a wallet. The impact on you is that you will not be able to point your phone at the barman to pay for pints or buy a coffee at Starbucks. The NFC would have changed your phone into an electronic wallet and like any other wallet, you store money in it and you take money out to pay for things. There was a huge financial and technological industry ready to take off e.g. supplying new terminals to shops, bars, restaurants that could niftily help themselves to the content of your wallet to pay for goods and services. Financial services companies would have provided the transaction processing services and software to calculate how much money everybody gets. This is a fledgling industry but 2 million potential new users in less than a week would have been dynamite! It would have created a critical mass that would have left leather wallets a thing of the past as fast as Blackthorn football boots. The other industry to take a hit this week was the powerful advertising industry. They thought that they were going to know where you were at all times (Geo Locating sometimes also know as Geo-Fencing) and what you are likely to buy (history of searches, payments, browsing, even Facebook activity). So for example when you walk through Dublin airport on your way to a holistic week in Ibiza, your phone would start buzzing like an excited monkey suggesting you purchase your favourite eau de toilette or a new alternative in the duty free shop, pick up a copy of the new Michael Connolly novel for the beach and a new pair of sunglasses on special offer in the hut. “Wow” says you “that’s a bit invasive, but how did it know I was not going on a skiing holiday”? Because your boarding pass was stored on your phone silly, thanks to the NFC. Can you imagine the amount of marketing plans, advertising strategies and corporate presentations that have been dumped in the waste paper bin in the last week? 10s of millions of dollars will now have to be redirected in marketing budgets and for some high tech geo locating software companies it will be a blow too far, at best they will have to limp back to their venture capital buddies. The impact of the lack of an NFC in the iPhone on the ‘wallet’ has been the main talking point over the last two weeks. But the financial industry is strong and robust. In fact, as we know, Governments won’t allow them to fail. The biggest hit has been to the fledgling geo location software and advertising industry. It maybe that first movers are annihilated and what comes next, in a few more years, will be tempered and limp. Some analysts are predicting that Apple will sell over 70 million iPhone 5s by the end of the year. That's a lot of missing NFC's and lost opportunity. Maybe a good result for the rest of us! If you order a product on the www.worldofelectronics.ie site before 1500 hrs the overwhelming probability is that it will be delivered to you anywhere in Ireland by the next day. Yes, nearly all the products on our site are in stock right now. If not (sometimes a product sells out quicker than we anticipated) we will let you know before the end of the day. We will give you an estimated time of delivery which you can either accept or we will refund you immediately. But reemeber thios will happen with less than 5% of orders. 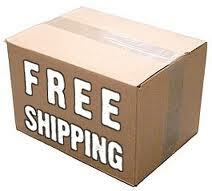 Currently 95% of our products also qualify for free shipping. This has got to be the best shipping deal in Ireland!!! Are you a UK company with a registered VAT number? 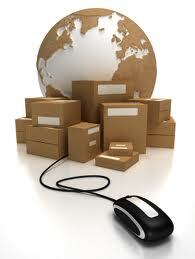 If so we will charge and ship your products net of Value Added Tax. This is great for cash flow and also lets you take advantage of the current strength of sterling against the Euro. This Blog is about helping or customers to have an improved shopping experience on www.worldofelectronics.ie. We will keep you uptodate on new products, technology trends and how to get more out of the site. The Blog is more information driven but if you are looking for unique product offers and special promotions we recommend you like us on www.facebook.com/worldofelectronics Here you will get unique product deals or reward points that you won't get anywhere else. Watch out for future blogs on how quickly can you get your order delivered, how not to pay VAT if you are a UK customer, how to earn rewards points and how to claim them, how to accessorise your new iPhone 5, how to build your own computer, latest must have gifts and gadgets, plus plenty more. Feedback always welcome.